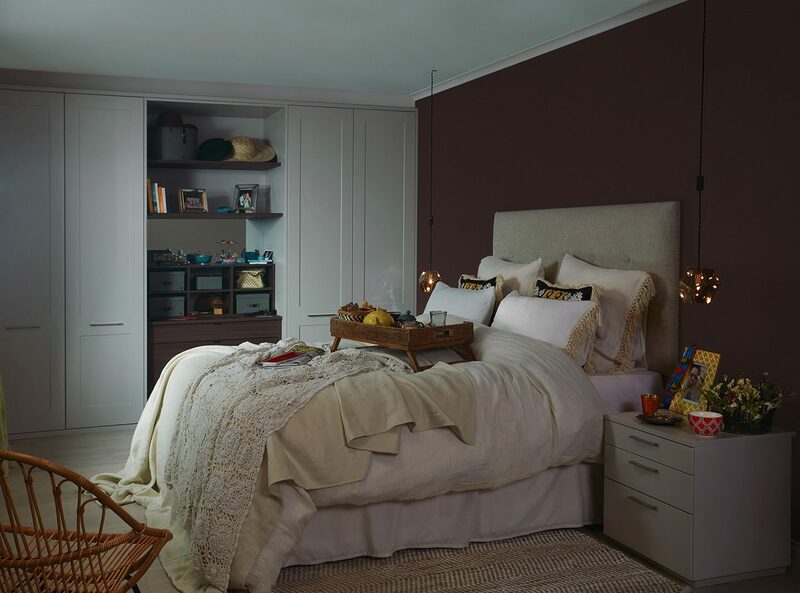 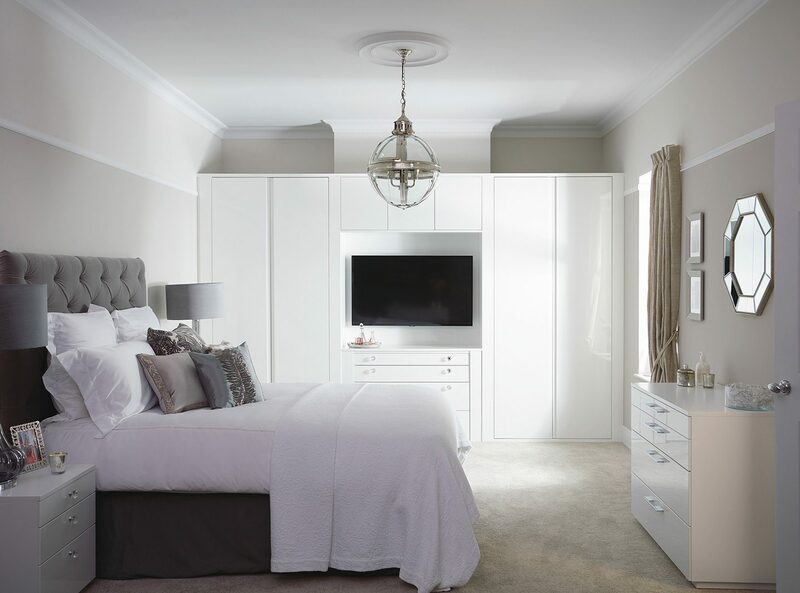 These contemporary crafted pieces of furniture can integrate with the wardrobes or stand alone. 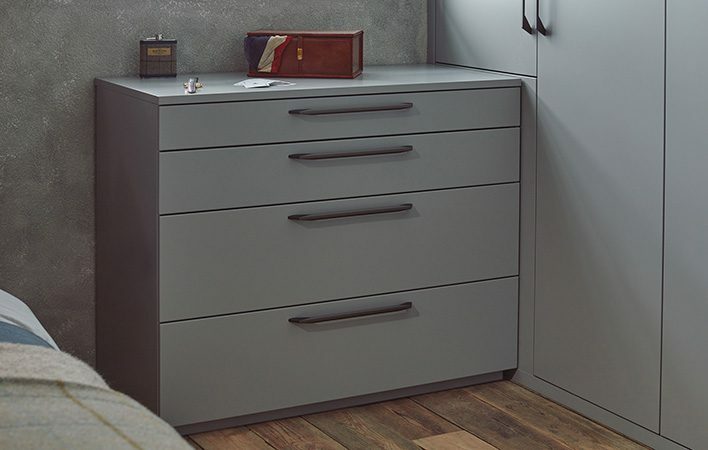 Elegantly-styled proportions, matt and gloss painted finish paired with the delicate drawer detail, creates a seamless modern look. 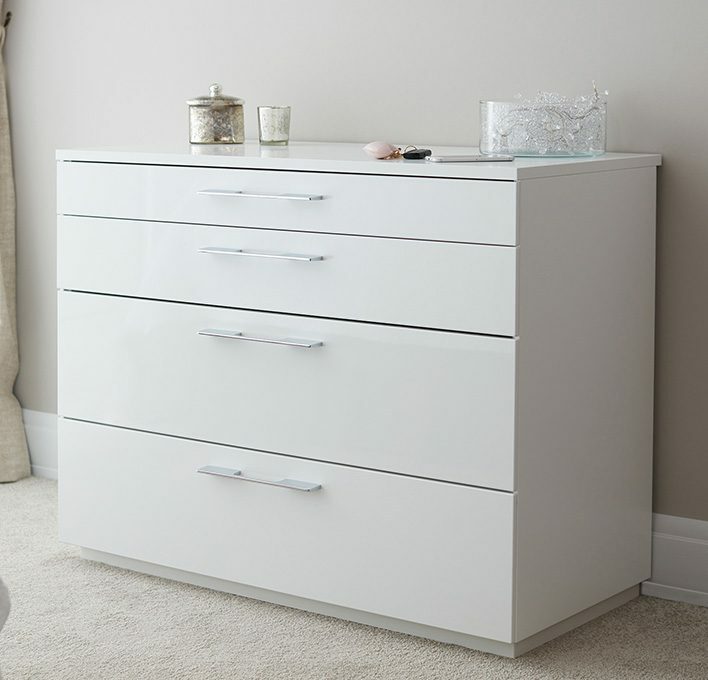 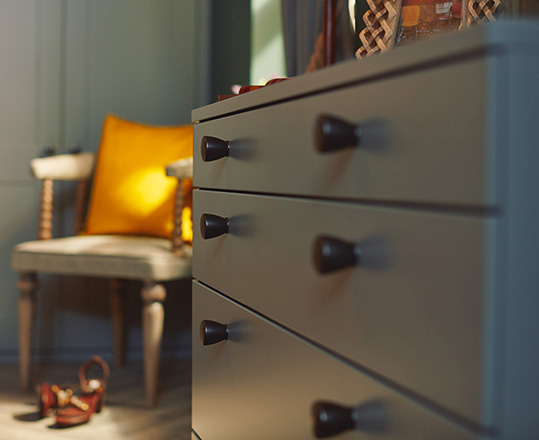 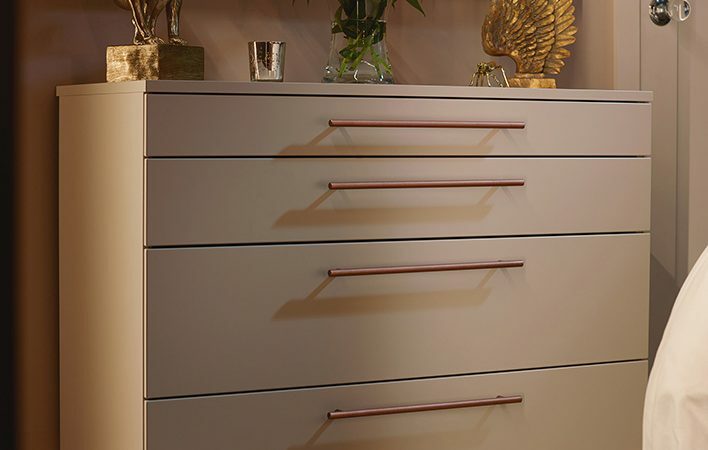 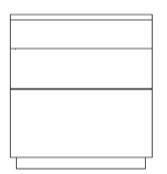 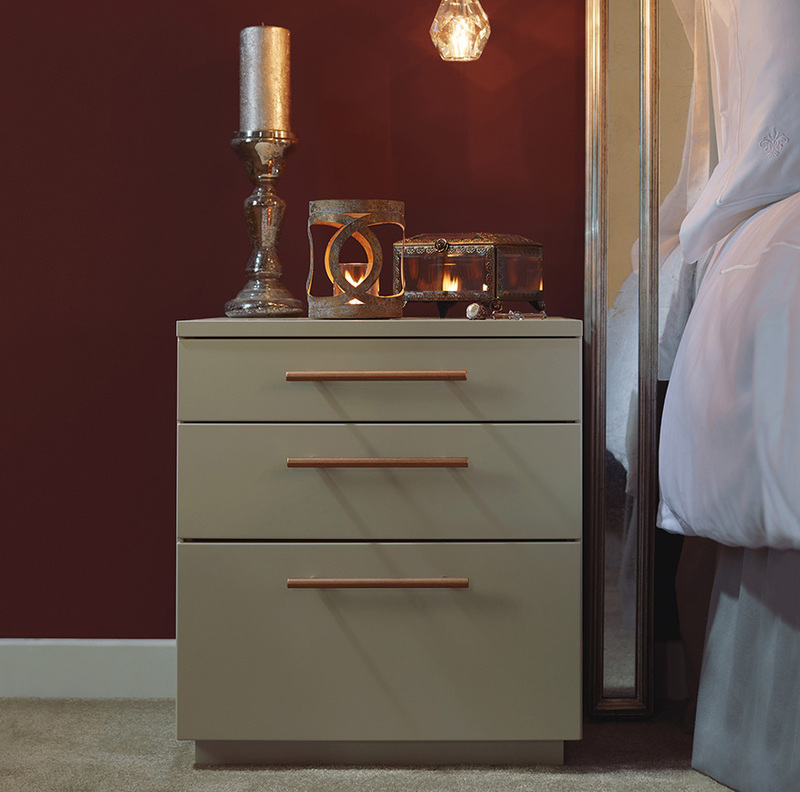 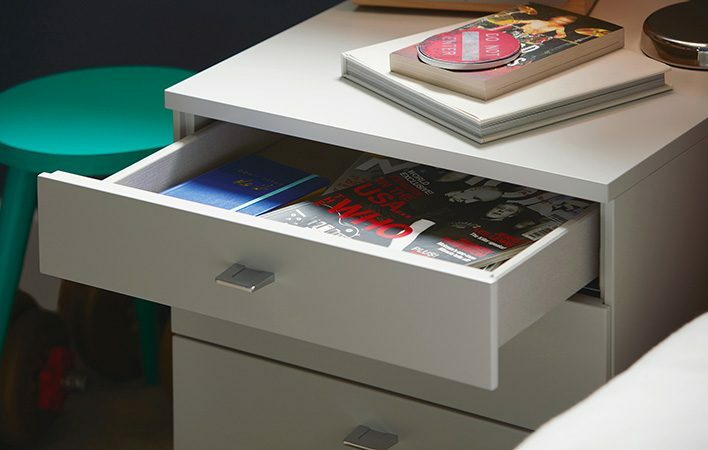 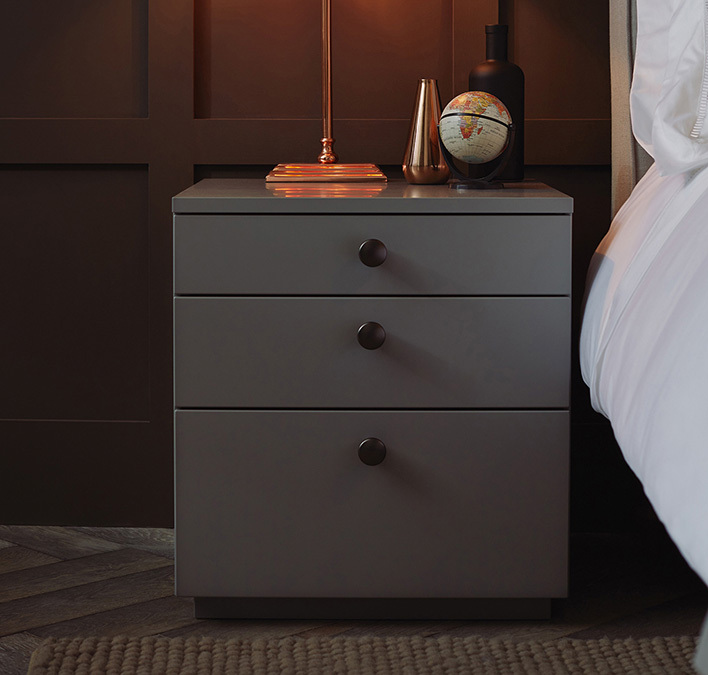 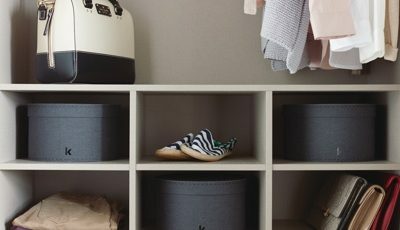 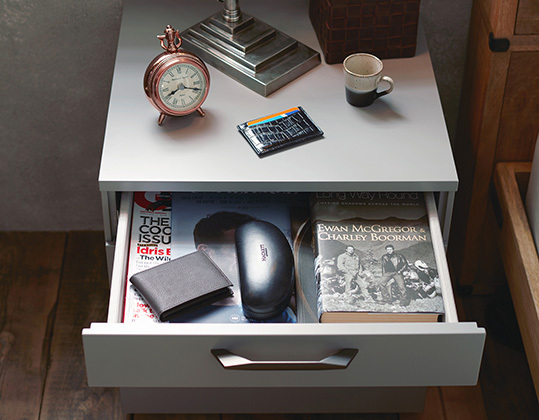 Available in a 3 drawer bedside and a 4 drawer chest, the proportions of these chests are delicate and seamless; ensuring the overall space in your bedroom is not impacted. 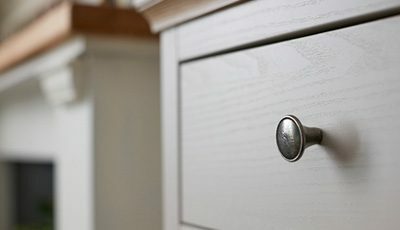 With matt and gloss frontal options, and an array of handle choices you can create your very own unique style.